BSC Glasgow took a much-needed three points as Gala finished the game with only eight players on the pitch. There was a minute’s silence before the first whistle for one of Gala Fairydean Rovers’ most loyal supporters. Jim Henderson sadly lost his battle with cancer on 5th of August and the thoughts of everyone at BSC Glasgow go out to his family, friends and everyone at Gala Fairydean. Stephen Swift made a few changes to the squad after their 3-0 defeat to East Kilbride last weekend – Ross McMillan took back the captain’s armband in his first game since re-signing, along with the returning Ryan McStay who made his first appearance of the season following the birth of his second son. David Winters was picked for the starting eleven for the first time replacing Tam Orr. Ross McMillan returned to the BSC Glasgow starting XI after re-signing. Gala went straight on the attack as the game kicked off, putting Ross McMillan to the test straight off the bat as he was forced to make an important clearance. It didn’t take long for the man in the middle to go into his pocket, which was to prove a theme in this match, as Gala’s Lee Stephen received the first booking of the game following a harsh tackle, however, being in the referee’s book clearly didn’t faze him as a minute later, he picked out a perfect pass to Kieran Watson who found the net from the edge of the box in a goal that seemed to come out of nowhere and took BSC by surprise. BSC attempted to get right back into the game, perhaps a little too aggressively as Martin Grehan left something in following a tackle that had Gala’s players and supporters shouting for a red card to be shown. Luckily, Grehan escaped with a booking. Minutes later, Declan Hughes lofted a cross into Ross Smith whose header bounced off the post. The Fairydean couldn’t successfully clear the ball away from an all attacking BSC as Adam Strachan broke through Gala’s a little too easily and slotted the ball into the bottom left corner with a little help from a minor deflection off Grehan. Halfway through the first half, another two yellow cards were brandished. Following a foul that left Sean McKirdy and Ross Smith both on the deck, Reece Donaldson and Ryan McStay got into a small altercation and the referee filled their names in his book. Just before the half-time whistle Gala thought they had the lead again as Donaldson smashed a volley into the net at close range only for the linesmen to lift his flag, much to the rage of the Netherdale faithful. The second half kicked off at a much slower pace than the first as both squads seemed to sit back. Gala’s Josh Morris received the fifth yellow card of the game 56 minutes in as the ref seemed to take some joy in filling his pages. Ross Smith came off for John Mitchell just before a Declan Hughes free kick found the head of the skipper McMillan as the ball sailed over the bar. For the final quarter of the game, Swifty gave Ross Lindsay and David Winters a seat on the bench and Tam Orr and Stevie Murray replaced them. 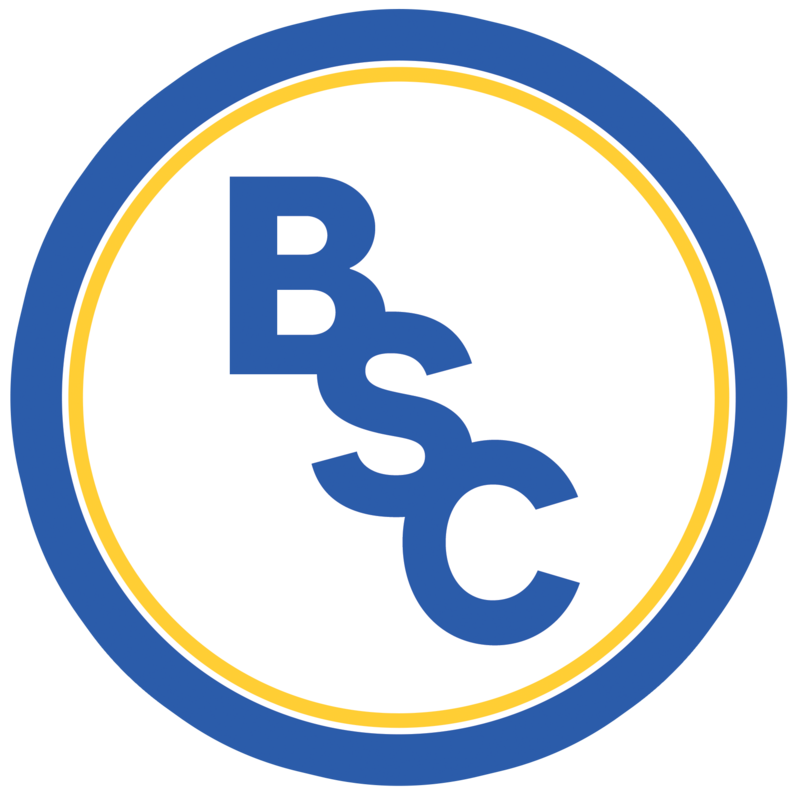 At the 79th minute, the controversy began – BSC won a penalty following a hard tackle in the box from Reece Donaldson who got a red card for his protest, however, in the same breath, the referee decided to also send off Scott Main presumably for his reaction to the decision and something he said to the official. The hostility towards the man in charge could be felt throughout Netherdale and it was hard not to feel an element of sympathy for a Gala side who had fought hard and looked dangerous right through the game. Tam Orr converted the penalty to give BSC a well-deserved lead, despite the keeper going the right way. Two minutes later, just to add the confusion, a red card was pulled out again toward Josh Morris. Despite winning a free kick, he threw the ball in frustration the referee judged this as dissent and it was enough leave Gala with eight men. Gala gaffer, Dean Shanks was irate on the touchline and the referee then decided to send him to the stands for his protests. The frustration of the fans was growing to a cacophony and the Borders-based referee is unlikely to be getting the Freedom of Galashiels any time soon. Just before the full time whistle, Martin Grehan managed to slip through one of Gala’s remaining players and get an important third goal for BSC Glasgow. McMillan also finished up on positive notes saying, “It was a tough game up to the penalty, but I always felt we would win the game. BSC Glasgow will want to grab another three points as they host Edusport Academy. Kick-off at The Indodrill Stadium is this Saturday at 3pm. 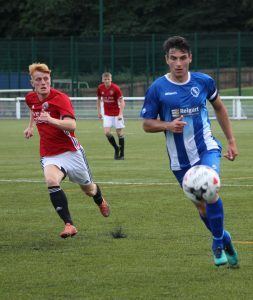 Thank you to Gala Fairydean Rovers for allowing us to use their fantastic match photos on this report.